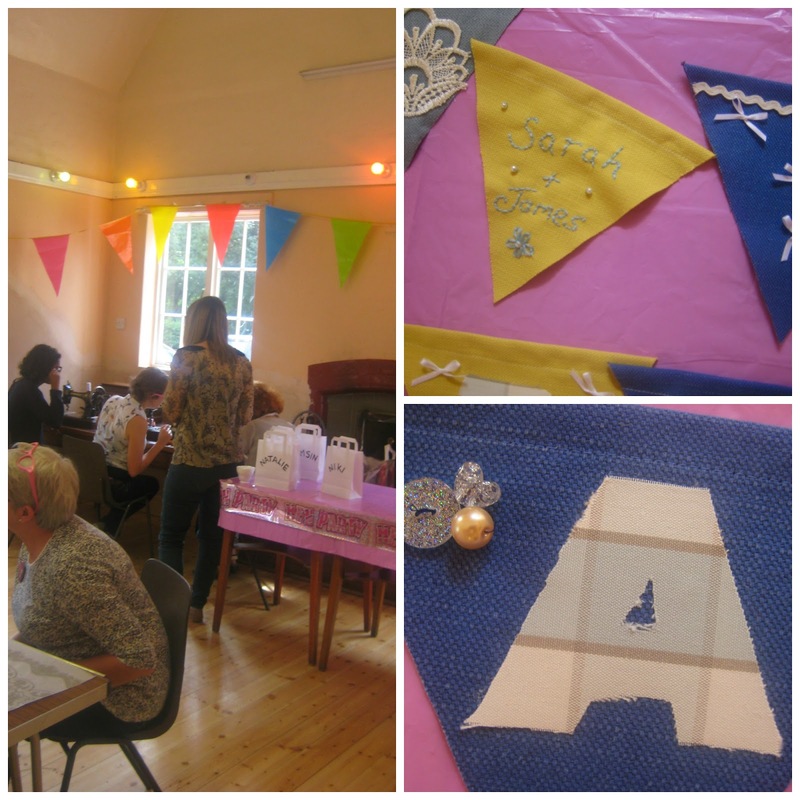 Last Saturday I hostessed a bunting making Crafternoon tea in a pretty village hall in Derbyshire. Each Crafternoon tea is always to a brief, it makes it bespoke, unique and personable. The bunting we were making was for a windmill wedding in Norfolk in September. The colour palette was to reflect the sea and sunshine around the venue, so blues and yellows were chosen from the fabric swatches I had for the party planners. 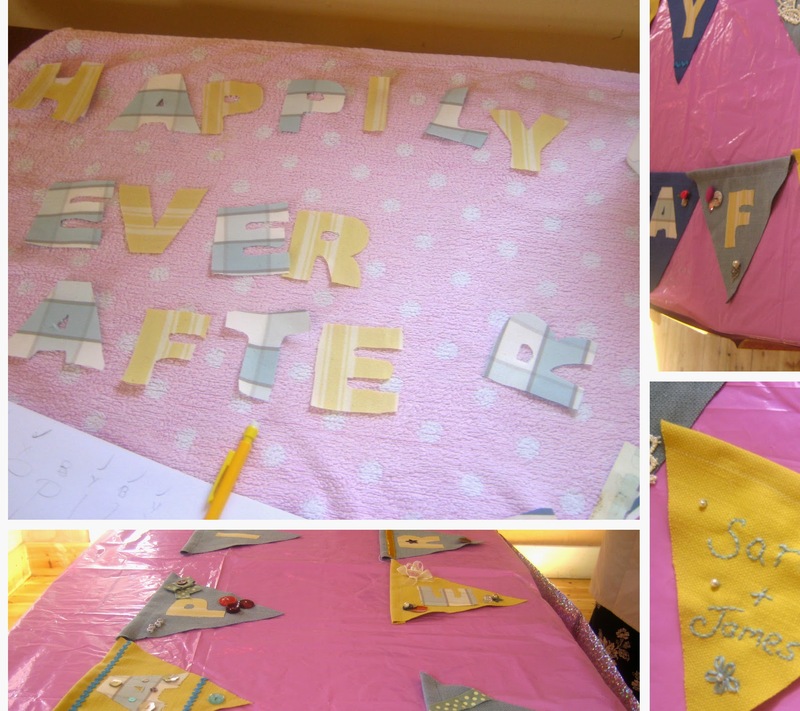 I worked with the groom to get the colourway perfect for the big day...and the bride has no idea what her lovely groom was planning for the Crafternoon (exciting!). When she discovered what we were making in the big reveal and how much effort he had put in, she was delighted. This is what I love about my job making something unique for a special day! Each Crafternooner cut out, stitched on our vintage Singer sewing machines and decorated the bunting flags whilst we served them a Derbyshire cream tea on vintage china. Thank-you so much for a lovely day ladies and all the best for the big day!